The workers compensation lawyers at Foran & Foran, P.A. have more than 60 years of combined experience in handling injury cases including workers compensation cases. We understand how important these cases can be in your life and how they can impact your life and will strive to provide you with the best personal service possible. The Maryland Workers Compensation Commission and the District of Columbia Office of Workers Compensation each have their very own unique policies, procedures and laws that must be followed. Our workers compensation attorneys are licensed to practice law in Maryland and the District of Columbia . compensation law firm at Foran & Foran, P.A. today! We can help. The best threat that you have as an injured person is the ability to file a claim and request a hearing. Make sure you are represented by a personal injury law firm that will file a lawsuit on your behalf where appropriate. 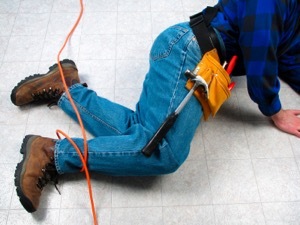 What should I do if I am injured in a work related accident? If you are injured in an accident while at work or during the course of your employment, you should have competent representation by a workers compensation attorney experienced in handling these claims. An experienced workers compensation lawyer can earn his fee by obtaining a higher result than what an insurance company may pay an unrepresented person. One threat that the insurance companies understand and may respond to with a fair offer of settlement is the threat of proceeding forward to the Maryland Workers Compensation Commission and/or the District of Columbia Office of Workers Compensation and/or appeal to the court. Many injured workers will try to handle their own case, thinking they will avoid a legal fee and get as good of a result as a lawyer would. What they don't understand is that the insurance company will lowball any unrepresented person. Actually and unrepresented person will usually get less without an attorney. The insurance company usually will not offer a reasonable settlement to an unrepresented person who does not know how to get more money. Make sure you are with the right workers compensation attorney that is willing to fight to get you what you deserve. Whether or not you have been denied benefits, you should consult with a workers compensation attorney to ensure that your rights are protected. The insurance company has lawyers that protect its rights, so should you. Workers compensation is a no fault system of laws that was created to help workers that get injured on the job with their ability to live and support a family. Each jurisdiction has its own workers compensation laws. The laws vary from jurisdiction to jurisdiction. An experienced workers compensation attorney can help you file the claim for workers compensation benefits and help you get all the benefits that you are entitled to receive. Just because you have been given a denial of workers compensation benefits through your employer or the workers compensation insurance company, does not mean that you have no recourse. The insurance company does not make the final determination on which people they pay benefits. Maryland workers compensation has evolved from statutes created by our legislature over the years. Maryland first enacted a statute in 1902 which was known as the employers and employees cooperative insurance fund. There are multiple parties to any workers compensation proceeding. The proceeding starts when an employee of a company gets injured on the job. Subsequent Injury Fund(Benefits from the subsequent injury fund are not payable to an injured worker unless the injured worker meet specific requirements as provided under the act. The injured worker must have at least a 50% impairment to the body with a minimum of 125 weeks of permanent impairment due to the accidental injury and at least 125 weeks of permanent impairment due to a combination of previous impairments (this can be from prior injuries or diseases). The preexisting permanent impairment must be a hindrance or obstacle to the employment. The permanent disability from a combination of the previous impairment and the subsequent injury must be substantially greater than it would have been from the subsequent injury alone.) Payment in cases involving the subsequent injury fund is paid after the employer has paid their portion of the award for permanent disability. Please contact one of our experienced Maryland Workers Compensation lawyers to discuss your Maryland Workers Compensation case and the Subsequent Injury fund and if it applies to your case. From 1914 to Oct 1, 1991, the laws of workers compensation in the State of Maryland were found in the Annotated Code of Maryland, Article 101. Currently, the workers compensation act is found in Title 9 of the Labor and Employment article of the Annotated Code of Maryland. The degree of skill required to perform the work. Contact one of our Maryland Workers Compensation Lawyers to discuss your case. Statutory employment can arise under Lab. & Emp. 9-508 which provides that a principal contractor must provide workers compensation insurance for all the employees working for their subcontractors. Independent contractors are generally not covered under workers compensation laws. Employees are people who work under an express or implied contract. Employees that only work on a casual basis (occasional, short term work) will not be afforded coverage. For years, the case law in the State of Maryland interpreted “accidental injury” as needing some type of unusual strain or condition to be compensable. The case would not usually be found compensable without some element of unusualness. Harris v. Board of Education, 375 Md 21 (2003) defined the term accidental injury as it applies to 9-101(b)(1). Under Harris the court disregarded the prior line of cases which required some element of unusual activity. In order for a case to be compensable, there must be some type of injury that arises from the accident. Types of injuries can be either physical or mental. Maryland claims must first arise out of and occur during the course of employment. In order for a claim to arise out of the employment, the employee must be prepared to show the origin of the injury is directly related to the employment. It must result from the injured workers obligations of the employment. “In the course” of employment is a different term of art that requires additional factors to be considered. The terms in the course of employment refer to the circumstances of the injury (where, when). There are some exceptions that can be applied on a case by cases basis that can add for coverage under the laws of the State of Maryland workers compensation or can break the chain and bar coverage for an injury. See also What should I do if I am injured in a work related accident? Generally, a worker must give notice of the claim to his employer within the prescribed time (read Workers Compensation - Notice) and file a claim with the Maryland Workers Compensation Commission before any benefits (read Basic workers compensation scheme) will be paid. See also Existing Claim requirement and procedures. Occupational diseases were not recognized as compensable until 1939 in Maryland. Currently, an injured worker must prove that they have a disability that is directly related to the employment to have a claim for occupational disease. 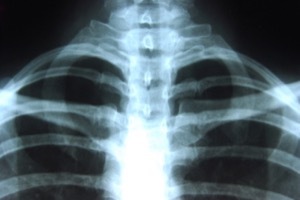 There are many types of occupational diseases that can be made as part of a claim for benefits. Please contact one the experienced Maryland workers compensation lawyers at Foran & Foran, P.a. to discuss your occupation disease case. Depending upon the date of death, Maryland Law provides that a party can claim dependency benefits if they were the dependent of a covered employee who suffered an accidental personal injury or occupational disease. The Workers Compensation Commission usually determines whether dependants are wholly dependent or partially dependent upon the deceased at the time of the injury or disease that caused the death. Compensation payments can be prohibited in circumstances involving desertion of a spouse or circumstances involving marriage after the injury that causes the death or injury. There are two types of dependents under Maryland Law, (1) wholly dependent individuals and (2) partially dependent individuals. Any individuals who were wholly dependent on a deceased covered employee at the time of death for support are entitled to claim dependency according to the statute. The death benefit payable for persons who are wholly dependent is paid at the rate of 2/3 of the average weekly wage of the covered employee. While the Commission records indicate that the compensation rate may have been 566.00, this may have been contested at a later date by the employer. The insurer for the employer is required to pay the weekly death benefit for the period of total dependency or until $45,000.00 has been paid in total to all wholly dependent persons absent other circumstances. As long as a surviving spouse or other person remains wholly and totally dependent after $45,000.00 has been paid, that person would be entitled to continuing payments during the period of total dependency. If any wholly dependent person becomes self supporting before $45,000.00 has been paid in total, that person would be entitled to benefits until $45,000.00 has been paid in total to the group of totally dependent persons. If a surviving spouse remarries, any payments immediately stop on the date of the remarriage. If that surviving spouse that remarried and was wholly dependent and had no children at the time of remarriage, the surviving spouse would be entitled to payments for 2 years after the date of remarriage, not to exceed $45,000.00 If the surviving child remains wholly dependent after the $45,000.00 has been paid, the Employer/Insurer continues to make payments during the period of minority/dependency of the surviving child. If a wholly dependent child were to become self supporting before $45,000.00 has been paid, the Employer/Insurer continues to pay benefits until the amount of $45,000.00 has been paid. The Employer/Insurer continues to pay benefits for the benefit of the surviving child until the child reaches 18 and may be held to pay longer in the event the child was incapable of self support because of a mental or physical disability. Also, the Employer/Insurer may be held to pay continuing benefits for up to 5 years after the child reaches their 18th birthday if that child is attending school on a full time basis and the school offers an educational program or a vocational training program approved by the State Department of Education. Partly Dependent Individuals are only entitled to recover if there are no wholly dependent individuals. The maximum weekly death benefit for a partly dependent individually shall be 2/3 of the average weekly wage of the deceased party. The weekly death benefit payable for partly dependent individuals will be the percentage of the weekly death benefit of the deceased and how that benefit bears to the combined income of what the deceased provided and what the partly dependent individual’s income was. Death benefits shall be paid for partially dependent individuals for the period of partial dependency or until $60,000.00 has been paid. If a surviving spouse remarries and does not have surviving dependent children at the time of the remarriage, the Employer/Insurer makes payments for 2 years after the date of the remarriage. The Employer/Insurer continues to make payments to a surviving child until the child reaches 18 years old. A child over 18 years old may have a claim for additional benefits if they are still partly dependent or in school. Employees that die after October 1, 2011 are subject to the new laws enacted by the legislature. The total death benefit to be paid will be calculated by the Maryland Workers Compensation Commission by determining the percentage of total family income of the deceased’s average weekly wage compared to the total family income and multiplying by the average weekly wage of the deceased covered employee. The death benefit will then be divided between the beneficiaries for a maximum of 12 years. There are of course exceptions to this rule and all claims should be handled on a case by case basis. Please contact one of our Maryland Workers Compensation Lawyers to discuss your specific claim. Any party that is aggrieved by the decision of the Maryland Workers Compensation Commission has the right to appeal the decision. Appeals are heard in the Circuit Court for the county where the accident occurred or where the appellant lives. An appeal does not stay an order of the Workers Compensation Commission. The Maryland Workers Compensation Commission retains limited jurisdiction to hear new issues on a case that is on appeal.